Sorry about the pun but it's true. The easily distracted and busy-brained are quick to get hooked on the new and shiny. NaNoWriMo is just that new and shiny thing that gets us excited and hyperfocused, and it's just long enough to keep us engaged. Despite the stereotype that we are lazy and lack motivation, we know we can be incredibly motivated and hardworking when we're excited about a project. The excitement level in the NaNoWriMo community is bananas and, for me, just what my adrenaline junkie brain is looking for to spice things up. 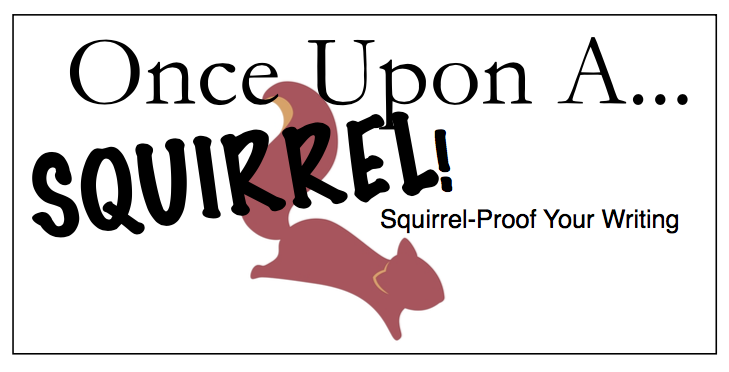 National Rough Draft Writing Month doesn’t roll off the tongue as well as National Novel Writing Month, but that’s essentially what it is - a rough draft. A skeleton for what your story is to become rather than an entire novel. After November you can take that draft through the editing process. Expect to put your NaNoWriMo “novel” through this process several times and a few outside edits before you can officially call it a novel. One of the best things about NaNoWriMo is the built-in accountability. When you declare your intentions that you're joining a movement that includes thousands of people all over the world, plus the regional area dedicated to your little corner of the universe, you have a lot of motivation to stick with it. Granted it still boils down to you keeping your own feet to the fire but knowing other writers all over the world are doing it too adds to the feeling that this is important thus you’re more apt to stick with it. If you've been following along you'll know I'm a big fan of rewarding good behavior, especially when it comes to creating a writing habit. True, it’s not much of a reward (a certificate and some discount codes), but it’s enough to drag you to the finish line. All the other writers participating will know how hard you worked and you will feel a sense of pride - which is the real reward you get when you “win” NaNoWriMo. Oh, yeah and that rough draft. That's kind of a big deal too. Nothing engages us ADHDers like fun, and I gotta tell you it's great fun living out your dream. Many of us put writing at the bottom of our to-do lists, something we’ll get to if we have time. For the month of November, you get a permission slip to be the writer you daydream about being. Obviously, you and the people you live with have to agree to it but anyone who genuinely cares for you (yourself included) will grant you a this time to have that opportunity. Plus you get to putter around in a baggy old sweater, haunting coffee shops, and muttering to yourself - unless you're already doing that in which case, do more of that. Writing 50,000 words in a month (which breaks down to 1,667 words a day or about three pages) is very doable but only if you keep at it. Some days you won’t be able to get much writing done, but you’ll find you can get a little bit of writing done all day long. On your phone in a waiting room, on your lunch break, in the bathroom, at the end of the day right before bed (instead of watching Netflix - note to self). And even if you don't make the 50,000-word count goal by the end of November you still win. I know it sounds corny, but it's true. Every word you write during NaNoWriMo is a win - it's one more step towards your goal, and when done right, it's an excellent tool for the would-be and seasoned writer alike. The energy is as motivational and contagious, as it is fun. I'll share more tips and tricks to help you get ready for a successful writing month. 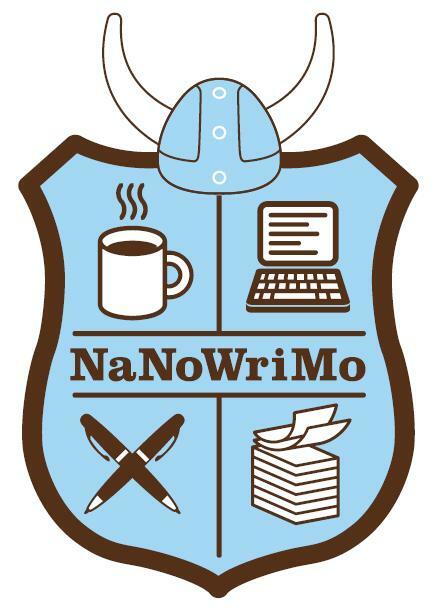 If you plan on taking on the challenge, go to NaNoWriMo.org to sign up and find your home region. From there you can seek out local events, like Kick Off parties and Write-Ins. Either way, signing up to the site is the way to go if you want to take advantage of all the resources available - forums to help with everything from naming characters to research, discounts for writing apps like Scrivener and Ulysses, and weekly pep talks.